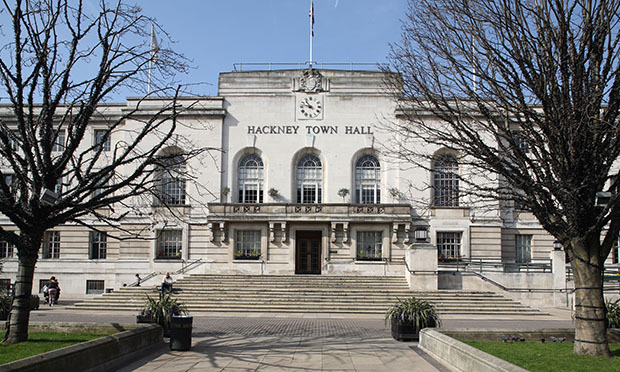 People in Hackney are at risk of being criminalised for behaviour related to homelessness, mental health problems or eccentricity, campaigners against red tape say after discovering the Town Hall has been handing out warning notices for vaguely-defined acts like “loitering”. Manifesto Club, which campaigns against what it regards as the “hyper-regulation” of everyday life, found via a Freedom of Information Act request that the council had slapped 20 people with Community Protection Notices (CPNs) in just one year for supposed transgressions such as “sleeping in bin stores” and “erecting an encampment”. These official warnings can spark a bureaucratic process and may lead to the recipient being fined or winding up with a criminal record – although the council insists no case has yet gone that far. Rough sleeping looked set to be banned in Hackney under controversial Anti-Social Behaviour, Crime and Policing Act and Public Space Protection Order, or PSPO, legislation. Following an outcry, Hackney Council ditched PSPOs. Councillor Caroline Selman, who is in charge of community safety, said the council “will not take enforcement action in relation to rough sleeping itself”. But she said that “where there are instances of persistent anti-social behaviour for someone who also has housing needs, we may need to consider enforcement action in relation to that anti-social behaviour”. But Manifesto Club, which also campaigns against “over-cautious” child protection protocol as well as “all forms” of censorship nationwide, views CPNs as an authoritarian, counterproductive blunt instrument. The organisation cited one case where, it claims, a rough sleeper was targeted with a CPN in Hackney for “screaming and shouting persistently” – behaviour that some might suggest indicates mental health issues. She added: “A local authority officer can fill in a form ordering you to do or not do something, and it is a crime to disobey. The council distributed 20 CPNs between October 2014 and October 2015. In the same time frame, neighbouring Islington Council issued just one – relating to an escaped dog. Appleton’s report points out that CPNs are unequal in their application. They prohibit specific activities only for certain people, rather than for everyone. Persons issued with CPNs can be fined and can even prosecuted and then left with a criminal record if they breach the terms of their CPN. Hackney Council’s press office said the council had to date “not found it necessary” to prosecute anyone for breaching a CPN. They also said CPNs had in some cases been issued as a means of securing vulnerable people’s engagement with outreach services in order to help them get their lives back on track. The council gave the Hackney Citizen detailed information suggesting this was the case with the CPNs issued for in the “bin store” and encampment cases – though has not been possible to independently verify this. Another CPN was issued to someone who persistently loitered in a petrol station forecourt and begged for money aggressively, the council said. Hackney has the highest rate of mental health hospital admissions in London, and anecdotal evidence suggests rough sleeping is on the rise. Mayor of Hackney Philip Glanville recently appointed Councillor Rebecca Rennison to advise him on how to prevent homelessness.